Given Square Enix’s not-so-great history with PC ports, we breathed a sigh of relief when it became apparent that Final Fantasy XV’s PC version (mostly) runs like a dream. It also includes a load of DLC, some new story scenes, and a lore encyclopedia to help people make sense of the game’s labyrinthine backstory. 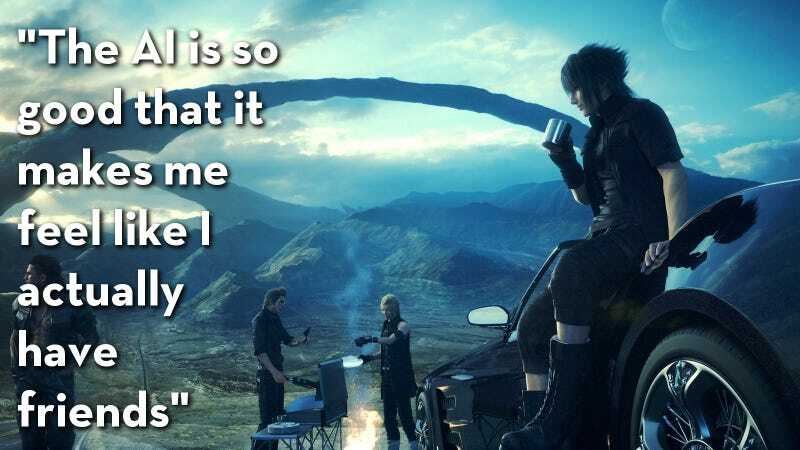 At its core, though, Final Fantasy XV is still two games: 1) an open-world RPG about likable guys with great hair shenaniganing around and taking bad selfies and 2) all the confusing stuff that happens after that. Steam users are digging it! Well, mostly.